Quality Inn and Suites offers amenities perfect for the business and/or leisure travels. 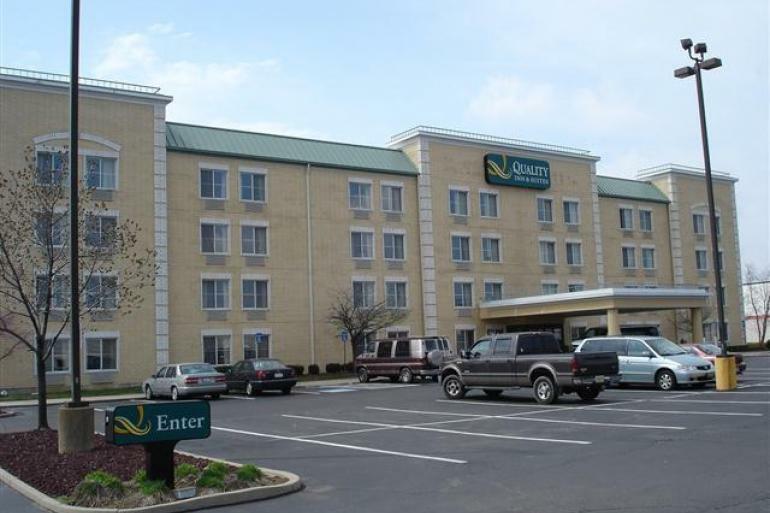 Quality Inn and Suites is conveniently located minutes away from the Greater Cincinnati Northern Kentucky Int'l Airport as well as other major attractions. Newport Aquarium, Perfect North Slopes, Cincinnati Zoo, Downtown Cincinnati, Creation Museum, Paul Brown Stadium and Great American Ball Park are all less than 15 minutes away.Just two miles from the Cincinnati / Northern Kentucky International Airport, the hotel offers its guests free airport transportation 5 a.m. - 12 a.m.
Lazer Kraze Erlanger, The Ultimate Family Fun Center, is conveniently located in Northern Kentucky just minutes from the Cincinnati airport.